SB 838, which establishes a 25% by 2025 renewable energy standard passed out of the Senate Environment and Natural Resources Committee on Tuesday with a 4-1 bipartisan vote. The Oregon Senate Environment and Natural Resources Committee voted to send the Oregon Renewable Energy Act, SB 838, to the Senate floor on Tuesday with bipartisan support. Senator Jason Atkinson (R-Grants Pass) joined committee Democrats Brad Avakian (D-Bethany), Alan Bates (D-Medford) and Floyd Prozanski (D-Eugene) in a 4-1 vote to send the bill on to a full Senate vote. The bipartisan vote was a fitting end to five full days of testimony during which the Committee heard overwhelmingly positive support from a diverse range of Oregon constituents. Governor Ted Kulongoski kicked off the hearings on March 6th and his supportive testimony was followed by renewable energy advocates and environmentalists, rural Oregonian farmers, ranchers, irrigators and county officials, Native American tribes, business owners, consumer advocates, venture capitalists, faith organizations and state government officials who all joined together to support the proposed Renewable Energy Standard [see previous posts here and here discussing hearings]. The state's two large investor-owned utilities, Portland General Electric and PacifiCorp, as well as the Oregon Municipal Utilities Association and the Eugene Water and Electric Board all testified in support of SB 838 as well. The committee vote followed a work session during which several amendments to the bill were proposed. Most were struck down along party lines with the committee's three democrats objecting to a number of amendments proposed by committee member Senator Roger Beyer, the one committee-member to vote 'no' on the bill. Two amendments did stick though which created three changes to the bill. The first amendment clarifies that the state's regulated utilities - PGE and PacifiCorp - should view the allotment of energy conservation moneys supplied by the state public purpose charge as a floor, not a ceiling. That is, the amendment specifies that the Public Utility Commission can approve additional spending to capture cost-effective efficiency and conservation measures above and beyond the public purpose charge moneys specifically dedicated to energy conservation and efficiency (i.e. through the Energy Trust of Oregon). The bill now moves to a full vote on the Senate floor sometime in the next two weeks. It's possible that the vote will happen as early as next Tuesday (to coincide with environmental lobby day), but due to procedural time constraints, it is more likely that the vote will happen next Wednesday or Thursday, or perhaps be pushed into the beginning of the following week. [Things look pretty good at this point for passage in the Senate. The question now is how much momentum will the bill have, and will it get bogged down in the House. Support in the House Energy and Environment Committee looks strong and the bill will most likely make it out of the House committee after one hearing and perhaps one work session, hopefully without getting further amended. If it can pass the House without further amendments, it'll be signed into law by Governor Kulognoski. If the House amends the bill, it will have to go back to the Senate for another vote. I hope that the bill will carry forward with momentum and pass out of the House without too much trouble, but this bill has the potential to be a 'go home' item for the legislature if it gets bogged down in the House. Colorado is now officially the latest addition to a growing list of states who have recently expanded their successful, existing Renewable Energy Standards. Tuesday, Governor Bill Ritter signed into law House Bill 1281 which expands the Renewable Energy Standard enacted by Colorado voters in 2004. The bill doubles the standard enacted by voter-approved Amendment 37 from 10% by 2015 to 20% by 2020. HB 1281 passed both the House and Senate with broad support, with a 59-5 vote in the House and a 27-8 vote in the Senate. "These new laws will improve our economic security, our environmental security and our national security," Governor Ritter said. "They will breathe new economic life into rural Colorado. They will create new jobs, and they will say to the rest of the world, 'Colorado is open for business in what will be one of the most important industries of the 21st century.'" But Colorado has some tough competition: California, Texas, Nevada, Arizona, Minnesota and New Mexico all recently upped their Renewable Energy Standards as well to comparable or even higher levels. And some states that are coming later to the game are aiming big: Oregon's legislature is currently considering a 25% by 2025 standard that would put Oregon up towards the front of the pack [See previous post]. All of these states talk are competing for jobs in the growing cleantech/renewable energy field, one of the fastest growing new industries in the United States. The fierce competition to be "the Renewable Energy Capitol of the United States" is a good sign of the robust market ahead for renewable energy in the U.S. Governor Ritter also signed into law Senate Bill 100 on Wednesday. SB 100 is a bill designed to encourage investment in the transmission necessary to bring new wind and other renewable energy to load centers in Colorado. Sponsors: Sen. Gail Schwartz, D-Snowmass Village; Rep. Jack Pommer, D-Boulder; and Rep. Rob Witwer, R-Genesee. Doubles the renewable energy standard established by voters with the 2004 passage of Amendment 37. Large investor-owned utilities like Xcel must now provide 20 percent of their electricity from renewable sources such as wind and solar by 2020. Requires municipal utilities and rural electric providers to achieve a renewable energy goal of 10 percent by 2020 (they had been excluded from the requirements of Amendment 37). Provides a 3-to-1 credit to rural electric associations for investment in solar energy. o Increasing Colorado’s share of the GDP by $1.9 billion through 2020.
o Increasing total wages paid to workers by $570 million. o Increasing the workforce by 4,100 person-years of employment. o Providing farmers, ranchers and other landowners with $50 million in lease payments for wind farms, crops and solar parks. o Generating $400 million in property tax revenue through 2020 to fund education and other services, particularly in rural Colorado. Sponsors: Senate President Joan Fitz-Gerald, D-Coal Creek Canyon, and Rep. Buffie McFadyen, D-Pueblo West. Requires electric utilities subject to rate regulation to identify high-potential wind-energy locations by undertaking biennial reviews to designate “Energy Resource Zones” where transmission constraints hinder the delivery of electricity. These utilities are then required to develop construction plans to improve transmission capacity. The bill allows utilities to recover costs during construction. Allows us to break the “chicken and the egg” cycle whereby wind companies don’t build turbines until there is adequate transmission capacity, and utilities don’t build transmission capacity until there are turbines. 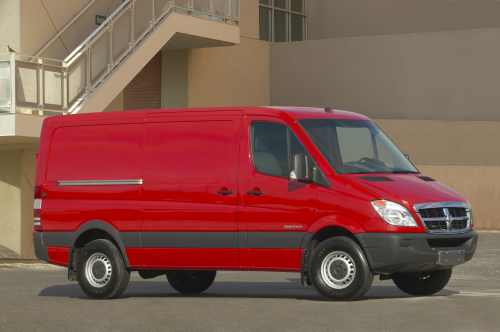 DaimlerChrysler is expanding its concept plug-in hybrid program to include the all-new 2007 Dodge Sprinter. Up to 20 Dodge Sprinter Plug-in Hybrid Electric Vehicles (PHEV) will be placed in the United States between now and the first quarter of 2008 as part of a test-fleet program [See previous post] Four of the vehicles, built on the previous-generation Dodge Sprinter, already are in operation with customers. The 2007 Sprinter, introduced in February, is longer, wider and taller than its predecessors. The new models are powered by a choice of two all-new engines, a 3.0-liter V-6 diesel engine with 154 hp (115 kW) or 3.5-liter V-6 gasoline engine with 254 hp (189 kW). A number of the Dodge Sprinter PHEVs will be equipped with lithium-ion batteries that are about half the weight and have much greater storage capacities when compared with nickel-metal hydride batteries. The vehicles will yield technical information through real-world driving conditions about lifetime, performance and cost of batteries. The Dodge Sprinter PHEV has the capacity for 20 miles all-electric range (AER). A switch on the dashboard gives the operator the ability to manually switch between modes as needed, or automatically by the vehicle control system. Two different combustion engines are being offered in the Dodge Sprinter PHEV: diesel or gasoline. The diesel version will yield the highest fuel economy benefit and is the first fleet test of a diesel plug-in hybrid system. DaimlerChrysler remains the only auto manufacturer currently evaluating a variety of plug-in hybrid powertrain (diesel and gas) configurations in real-world, customer-operation service within the United States. DCX is probably farthest along in their development of a commercial plug-in hybrid electric vehicle. They have been working on this Sprinter PHEV concept vehicle with the Electric Power Research Institute for several years now. While a plug-in delivery van may not be as snazzy or eye-catching as GM's Chevy Volt concept plug-in hybrid unveiled at the Detroit Auto Show in January (see previous post, unlike the Volt, which is not a fully functioning prototype at this point, DCX's Sprinter PHEVs have been on the road for over a year now. A good sign that plug-in are on the way... let's hope they get here in time! The logistics of collecting and storing a million tons of corn stubble each year for an ethanol refinery are mind-numbing. It would take 67,000 semitrailer loads to haul the baled stubble out of the field. That's 187 truckloads a day, or one every eight minutes. To complicate matters, the need for trucks, machinery and manpower would come during harvest, already the busiest time of the year on the farm. And that's where a massive federal initiative into cellulosic ethanol may find its biggest bottleneck - on the farm. "Naturally, the farmer says, 'Wait a minute. I've got enough stuff in my field,'" said Lex Thompson, president of the Imperial, Neb., Young Farmers and Ranchers Association. The question is whether farmers will harvest and sell the nongrain plant material, known as cellulose or biomass, to make the federal government's plan for renewable fuels work. The U.S. Department of Energy wants to replace 30 percent of the nation's petroleum needs with ethanol by 2030. That goal would require some 40 billion to 45 billion gallons a year from biomass ethanol, a technology not yet in commercial production. "If we can get the farming community's support," said Andy Aden, senior researcher at the National Renewable Energy Laboratory in Golden, Colo., "then all the pieces are falling into place and some real progress can be made." But farmer buy-in remains to be seen, said Imperial farmer Rod Johnson. "Our main concern is $4-per-bushel corn (worth $750 to $800 an acre)," Johnson said. "Thirty dollars an acre for biomass is a minor concern for our operation." The Energy Department wants researchers to develop a harvest and storage process that would provide material to a refinery for $35 a ton, a level that probably would make ethanol production profitable. Opinions differ, however, on whether that is achievable. Some in the industry believe the cost to ethanol plants would be closer to $60. Iowa State University researchers agree that the technology is not yet developed that will allow farmers to profit from harvesting some of their stubble for ethanol production. ISU researcher Stuart Birrell and others have been experimenting with techniques that would allow farmers to reap and bale corn stubble simultaneously while harvesting corn. That could lower costs significantly, Birrell said. "Every time you put another machine in the field, your costs really start going up." Even with a one-pass system, Birrell said, the cost of harvesting would be greater than the $35 sought by the Energy Department. And there are other drawbacks. One-pass harvest experiments have slowed combines to about 60 percent of normal harvest speed, too slow to suit farmers, Birrell said. "Our target is 80 percent of harvest speed," Birrell said. "We feel farmers would live with that." Researchers are also studying how much of the corn plant can be removed without causing soil erosion and loss of soil nutrients. There are advantages to leaving stubble in the field, Birrell said. "The bottom part is fairly high in nutrients." Many of the questions surrounding cellulosic ethanol could be answered in the next 10 years as six pilot plants are built with the help of $385 million in grants from the Energy Department. Some of those refineries will experiment with corn stover and other crop residues. Others will experiment with woody materials, others with switchgrass and others with municipal waste. Right now, the cost of producing ethanol from corn stover is about twice the cost of producing ethanol from corn kernels. "It cannot compete without subsidies," said Sam Tagore, a Department of Energy feedstocks specialist in Washington, D.C.
Not the least of the concerns with corn stover is the problem of storage, Tagore said. The harvest of corn stover would occur during a six-week harvest window in the fall, but the ethanol plant would require regular deliveries throughout the year. Even a small ethanol plant using 2,000 tons of stover a day would require 100 acres stacked 25 feet high with stover to run a refinery for a year. A three-year study in Chase County indicates that an 80-million-gallon ethanol plant would require corn stover from 500,000 acres of corn within a 50-mile radius of the plant and 500 acres to store it after harvest. "That will give you an idea of the logistical nightmare this thing is," said Lex Thompson, one of the Chase County coordinators. On the other hand, an additional $30 profit per acre would put $15 million into the pockets of farmers operating near the refinery. The question, Thompson said, is whether such a scenario is feasible. "We're at the stage now where we are going to know the answer in a few years," he said. Imperial farmer Johnson, although still not sure what the future will hold, said there is potential for success. "We believe there will need to be a return (profit) of $30 an acre for a farmer to want to participate," Johnson said. That is the key, said Hettenhaus, the biomass consultant. "I compare farmers to the OPEC guys. They control the feedstocks. Unless it is a benefit to the farmer, forget it." Emmetsburg, Iowa - ($80 million). Broin Companies of Sioux Falls, S.D. Using 842 tons per day of corn fiber, cobs and stalks. Soperton, Ga. - ($76 million). Range Fuels of Broomfield, Colo. Using 1,200 tons a day of wood residues and wood-based energy crops. Shelley, Idaho - ($80 million). Iogen Biorefinery Partners of Arlington, Va. Using 700 tons a day of wheat straw, barley straw, corn stover, switchgrass and rice straw. Southern California - ($40 million). BlueFire Ethanol of Irvine, Calif. Using 700 tons per day of sorted green waste and wood waste from landfills. Kansas (site undetermined) - ($76 million). Abengoa Bioenergy Biomass of Missouri. Using 700 tons a day of corn stover, wheat straw, milo stubble and switchgrass. Hendry County, Fla. - ($33 million). ALICO Inc. Using 770 tons per day of yard, wood and vegetative wastes. Clearly, challenges remain to the commercialization of cellulosic ethanol, both in the fields and in the production facilities. It may be some time before someone finds a production model that works, from logistical, technological and economical standpoints. I'm encouraged though by the number of pilot projects moving forward and the fact that each seems to be using a different set of feedstocks. I think this is important at this stage, as each feedstock will present different logistical and technological challenges and some may emerge first as more feasible feedstocks in the near term. If we can find a few feedstocks that pencil out and work, they will give us the opportunity to work out technical and economic kinks on the production side while we continue to work on collection and transport methods that will make other feedstocks viable in the longer term. Check out Robert Rapier's posts on the challenges facing cellulosic ethanol development over at the R-Squared Blog. 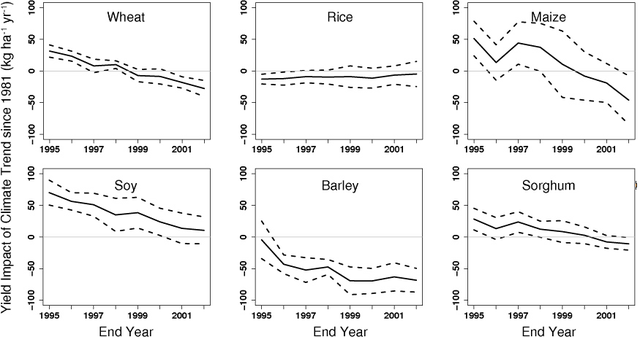 I am personally more optimistic that these challenges will be solved, but Robert presents a good analysis of the hurdles still standing in the way of commercial cellulosic ethanol production. See posts here and here. The industry still has a lot of work to do to become commercially viable. If it can, the potential is tremendous. Cellulosic ethanol and plug-in hybrids together can likely replace all of our gasoline and diesel use for light duty transport (with ethanol providing the liquid fuel for plug-ins for about 1/3 of vehicle miles traveled, with the remainder running on electricity from the grid) while slashing our greenhouse gas emissions from transport. This is my personal favorite for the future of transportation, and I hope that the logistical, technological and economic hurdles standing in the way of this future can be solved (and soon!). A Call for Youth Action - Climate Change: The Challenge and Opportunity of Our Lives! Today, we are faced with both the challenge and the opportunity of our lives: climate change! "We are now faced with the fact, my friends, that tomorrow is today. We are confronted with the fierce urgency of now. In this unfolding conundrum of life and history, there is such a thing as being too late. Procrastination is still the thief of time [and] life often leaves us standing bare, naked, and dejected with a lost opportunity. ... Over the bleached bones and jumbled residues of numerous civilizations are written the pathetic words 'Too late.'" We must ask ourselves, will those two tragic words be the epitaph of our modern civilization as well? Will we have the foresight and courage to act in the face of impending (or indeed already ongoing) ecological crisis and global climate change? Will we seize the opportunity this crisis presents and stride forward into a sustainable future, or will our chapter in the book of time come to yet another pathetic close with the words, 'Too late'? "The era of procrastination, of half-measures, of soothing and baffling expedients, of delays, is coming to its close," he said. "In its place we are entering a period of consequences." Global warming is already beginning to effect the places we know and love. Here in Oregon, where I live, climate change has emerged as the most significant threat facing Oregon's environment. Northwest climate experts have already linked global warming to rising sea levels on our treasured Oregon coast, more frequent and severe wildfires in our forests and a 35% decrease in spring snow pack in the majestic Cascades. Moreover, as warming continues, Oregon faces increased incidence of both torrential rainstorms and floods in the winter and spring and droughts in the summer months. The story is the same throughout the world as climate change threatens the environment we both treasure and depend on. As environmental activists and politicians, including Al Gore [see image at right], descend on Capitol Hill this week to urge action on global warming, nearly all are touting a business-friendly solution -- as are California regulators who are drawing up the state's new system to curb greenhouse gas emissions. It's called emissions trading, or cap and trade, and it has won support from corporations and lawmakers who worry that strict global warming limits could damage the U.S. economy. "There's a lot of education needed in Congress that global warming legislation isn't going to hurt the economy, and (cap and trade) is a big part of this," said Lexi Schultz, a Washington representative for the Union of Concerned Scientists. But the track records of similar programs in Europe and Southern California are mixed, experts say. "What California is doing on this issue is brave and encouraging, and for that reason the state and Congress should heed Europe's lessons," said Yvo de Boer, secretary-general of the U.N. Framework Convention on Climate Change, the world body that oversees the Kyoto Protocol and the negotiations for a successor pact after Kyoto expires in 2012. Former Vice President Gore is scheduled to testify today to the House and Senate, capping a series of rallies and hearings that demonstrate the pent-up momentum behind Democratic leaders' promises to take action on climate change after years of Republican resistance. In Congress, all five bills on global warming being debated -- with two more expected to be introduced soon -- rely heavily on the creation of an emissions trading system, in which companies are given limits for their emissions of carbon dioxide and other greenhouse gases and then are allowed to buy and sell their excess or deficit emissions as if they were financial securities. California regulators are drawing up plans for an emissions trading system under a state law enacted last year calling for the reduction of greenhouse gas output to 1990 levels by 2020, a cut of about 25 percent. And California recently signed agreements with Oregon, Washington, Arizona and New Mexico -- as well as with British Columbia -- to form a cross-border emissions market. "California is really establishing a de facto national standard, and it's likely to heavily influence the shape of whatever action Congress eventually takes," said Blas Perez Henriquez, executive director of the Center for Environmental Public Policy at UC Berkeley's Goldman School of Public Policy. Many environmentalists had long supported traditional forms of top-down government regulation, especially what is known as a carbon tax, which would levy a tax on energy sources that emit carbon dioxide. "Most people believe that the two big alternatives out there are a carbon tax or cap and trade," said Sen. Dianne Feinstein, D-Calif., speaking at a climate change conference at UC Berkeley last month. "I fall into the cap and trade thing, largely because I don't see a carbon tax ever getting enacted in the United States." In recent months, big-business interests have rushed to jump on the cap-and-trade bandwagon. In January, companies with large emissions outputs such as GE, Alcoa, DuPont, Caterpillar and Duke Energy came out in support. Last week, the chief executives of GM, Ford, Toyota and Chrysler did the same in testimony before Congress. And on Monday, a coalition of institutional investors, including Merrill Lynch and California's two giant pension funds, the Public Employees' Retirement System and the State Teachers' Retirement System, threw their weight behind cap-and-trade legislation. Schultz said one of her key selling points is the argument that emissions trading "will spur technological innovation" as businesses seek to reduce their greenhouse gas output and sell the emissions credits that they no longer need. Backers cite the national cap-and-trade system created by the 1990 Clean Air Act to fight smog. This program -- which regulates the particulates and sulfur dioxide that create conventional air pollution, not the nine greenhouse gases such as carbon dioxide that cause global warming -- governs power plants nationwide and is generally viewed as successful. But greenhouse gases are more complicated to regulate than smog, traders say. "Setting up a market for greenhouse gases is tremendously tricky," said Mark Trexler, director of global consulting services for EcoSecurities, a London consultancy and broker in carbon credits. One danger, Trexler said, is that companies will be granted too many credits -- which, in effect, gives them permission to keep polluting. This mistake has severely shaken the European Union Emission Trading Scheme, set up to comply with the Kyoto Protocol, as prices have collapsed from about $38 per ton of carbon dioxide in 2004 to Tuesday's closing average of $1.40. "A mistake very clearly made in Europe was to allocate too generously, so companies did not need to make an effort to reduce emissions," De Boer said. "This created significant distortions and windfall profits." "Setting credits should be about who gets gored," said Josh Margolis, managing director of Cantor Fitzgerald Brokerage, a financial services firm for energy markets. A properly designed program is one that "is going to affect you like no other you have ever imagined," he added. Experts point to a similar mistake made in 1994 when the Los Angeles area's air quality management authority -- which regulates pollutants other than greenhouse gases -- replaced its system of fixed quotas with a cap-and-trade program. Under this new program, known as the Regional Clean Air Incentives Market, or RECLAIM, the area's formerly rapid pace of air-quality improvement slowed to a crawl because utility companies were granted overly high limits for emissions of nitrogen oxides and sulfur dioxide. Some environmentalists also warn that these trading systems hurt minorities and the poor. "We're skeptical of how efficient and just a cap-and-trade system can be because RECLAIM resulted in the concentration of pollution in low-income communities," said Philip Huang, a staff lawyer for Communities for a Better Environment, a statewide group that represents working-class and poor urban areas. Huang noted that the older industries that are frequently located in poor communities tend to have high emissions of both greenhouse gases and conventional pollutants. As a result, he said, a trading system would allow large industries to reduce their emissions in newer factories located in more affluent areas while maintaining the high emissions in their older facilities. Officials at the California Air Resources Board, the agency that is drawing up the state's new rules, say they won't repeat the mistakes of Europe and Southern California. "Yes, there are environmental justice issues to consider with RECLAIM, and there's no shortage of other possible issues that have to be worked through," said Chuck Shulock, climate change coordinator for the agency. "But we're confident that a market-based system can be created successfully." I've been encouraged by the recent testimony from business leaders in support of 'cap and trade' programs to limit global warming pollution. This should help cap and trade policies gain traction in the senate and go along way towards convincing Congress that reining in our global warming pollution won't wreck the economy, as President Bush has maintained. Businesses know regulation is imminent, and they have a strong incentive at this point to see that regulation enacted sooner rather than later. Regulatory uncertainty is the stuff that keeps investors up at night, as the global warming policy framework that is eventually enacted will have profound effects on how companies do business in the United States in a carbon-constrained economy. Business leaders need to know what to expect so they can plan accordingly, and investors are keenly interested in what plans they come up with to operate their businesses in the coming carbon-constrained economy. That can't happen until policy-makers give the business community some regulatory certainty by enacting legislation. Tough legislation is probably even preferable to unknown legislation at this point. The discussion of the environmental justice issues of cap-and-trade programs in the Chronicle article is a bit misleading, as greenhouse gas emissions differ from other air pollutants. Whereas other air pollutants like mercury, benzene, nitrous oxides and sulfur dioxide have localized effects, global warming pollutants have a global effect. It largely doesn't matter where carbon dioxide or methane are emitted - each pound of CO2 in the atmosphere will contribute to global climatic change, not localized effects (to be more specific, any localized climate change effects will be driven by global concentrations of CO2, not local emissions). It is true that cap and trade programs do not result in equitable geographic distribution of emissions reductions. In the case of programs dealing with pollutants will localized effects, this means cap and trade programs have serious environmental justice consequences (see this previous post for an example). But in the case of global warming pollutants, carbon dioxide and methane, what is important is global atmospheric concentrations of these pollutants, not localized concentrations. In this case, a cap and trade program is very appropriate and can operate largely without environmental justice effects. The Oregon Senate Environment and Natural Resources Committee heard another hour-and-a-half of testimony on the Oregon Renewable Energy Act on Tuesday. The Oregon Municipal Electric Utilities Association and the state's largest consumer-owned utility, the Eugene Water and Electric Board, both added their support to the bill in the final day of public testimony. Senate Bill 838 would establish a Renewable Energy Standard requiring Oregon's utilities to gradually increase the amount of renewable energy in their electricity mix until 25% of their electricity is supplied by new renewable energy sources by 2025 (see previous post for bill summary). Environment and Natural Resources Committee Chairman, Senator Brad Avakian, had anticipated being able to open a work session to hear amendments on the bill on Tuesday, but the long list of people still waiting to testify on the proposed Renewable Energy Standard convinced Avakian to hold another full public hearing. Tuesday's hearing was the fifth public hearing on the bill (see previous post for summary of first four hearings). A panel of city and county officials kicked off the hearing submitting statements of support on behalf of the City of Portland, the Association of Oregon Counties and city and county commissioners from Portland, Clackamas County and Columbia County. Gary Langenwalter, a Methodist Pastor and chair of the Oregon Interfaith Global Warming Campaign followed with an eloquent testimony imploring the committee to look at the issue as more than one of simple economics. "As important as economics are, they should not be and cannot be the final deciding factor on this bill or any other, because energy is a moral issue." Mr. Langenwalter, a longtime businessman turned pastor said. "The people who talk about the economics of this bill ... seem to assume that we can continue with business as usual, taking resources out of the ground, processing them and putting the waste into the environment and that this won't affect the earth or it's ability to protect our lives. Those assumptions are wrong." Mr. Langenwalter went on to ask the committee to consider the well-being of future generations who cannot appear before the committee to voice their concerns. "The process of considering this legislation is democracy in action, and I'm proud of that. But democracy's major weakness is that the only people who can testify ... today are those who are currently alive. Future generations have no ability to speak to you. Ask yourself, who is considering the well-being of our citizens 50-years out, 100-years out, 500 years out. Ask yourself, if we continue to degrade the earth, how will our grandchildren live. ... When you consider this or other bills, look carefully at the picture of your children and grandchildren and vote on their behalf. That's who your decisions will ultimately affect, and vote to respect and preserve our earth, because in the final analysis, that's the most important legacy we can leave our children." The Oregon Interfaith Global Warming Campaign involved members of a diversity of religious groups including Christians, Muslims, Jews, Roman Catholics, Native American and other faith groups. Next, the National Electrical Contractors Association, International Brotherhood of Electrical Workers, and the Oregon State Building and Construction Trades Council all endorsed SB 838, as did a representative of the Confederated Tribes of Warm Springs. They were followed by a representative of the Taxpayers Association of Oregon who opposes SB 838 because it extends the [highly successful, I might add] three percent public purpose charge added to PacifiCorp and PGE cusomters' bills. The public purpose charge, originally enacted as part of Oregon's utility restructuring law in 1999, is currently set to expire in 2012. SB 838 would extend the public purpose charge to 2025 to coincide with the final RES targets and would re-purpose the renewable energy portion of the funds to support community-scale projects less than 20 megawatts in size. Michael Early of the Industrial Customers of Northwest Utilities also testified in opposition of the bill. ICNU is perhaps the most vitriolic of the bill's small group of opponents and has opposed the idea of a Renewable Energy Standard from the beginning, repeatedly asserting that renewables will raise industrial customers' rates and put Oregon industry at a competitive disadvantage. Interestingly, Columbia Forest Products, a large industrial energy consumer and Oregon-based forest-products company, testified in support of the Renewable Energy Standard later in the hearing. Columbia Forest Product's Director of Corporate Sustainability testified that the company was "wholeheartedly" in support of SB 838. John Charles, president and CEO of the Cascade Policy Institute, an Oregon-based libertarian "free-market" think tank, also testified in opposition of the bill, arguing that the standard was unnecessary given the already low carbon-intensity of Oregon's electricity supply. He also maintained that a standard was redundant and unnecessary given that many Oregon electricity customers already have the option to purchase green power from their utility, and although Oregon's participation in such programs ranks in the highest in the country, less than 6% of Oregon customers purchase green power. "Why impose a renewable energy mandate when 96% of people don't want to pay more for green power and vote with their pocket books every day," Mr. Charles said. Perhaps the most important testimony of the day was from Tom O'Conner, Executive Director of the Oregon Municipal Electric Utilities Association, which represents most of Oregon's municipal utilities. Mr. O'Conner testified that after the long stakeholder process and recent negotiations and compromises, the current draft of the bill (the -2 amendments) "on balance meet the test of our principles." Mr. O'Conner was referring to a list of six principles outlining a policy framework for an RES that addressed municipal utilities' concerns. Mr. O'Conner testified that each of those concerns had been addressed to the satisfaction of his organization in the current version of SB 838. While the munis would have preferred that the RES targets were focused on load growth instead of overall load, Mr. O'Conner told the committee, he was comfortable with the current bill because it exempted utilities from complying if doing so would require them to acquire resources in excess of their load growth and require them to back off of non-fossil resources. Mr. O'Conner also testified that he felt the RES targets were reasonable, flexible enough and meaningful. He told the committee that while the later years' targets were aggressive and that uncertainties remain about the feasibility of compliance with those targets, the bill addresses these uncertainties with flexibility mechanisms (i.e., the alternative compliance payment option, the cost cap, exemptions for slow-growing utilities and a lower target for Oregon's smallest utilities). With these concerns addressed, Mr. O'Conner pledged the Oregon Municipal Electric Utilities Assocation's support for Senate Bill 838 and the -2 amendments. Mr. O'Conner was followed by a lobbyist representing the Eugene Water and Electric Board, Oregon's largest consumer-owned utility, who also testified that their original concerns about the bill had been addressed in the -2 amendments and that EWEB supports Senate Bill 838. EWEB and the Municipal Utilities Association join Oregon's two largest utilities, Portland General Electric and PacifiCorp/Pacific Power in support of SB 838. PGE and PacifiCorp testified in support last Thursday. The hearing was concluded after testimony from Natalie McIntire, Senior Policy Associate at the Renewable Northwest Project. Mrs. McIntire is an expert on transmission planning and wind integration issues and tried to ease any concerns about transmissions and integration issues associated with the Renewable Energy Standard. Mrs. McIntire told the committee that a recent report from regional stakeholders, the Northwest Wind Integration Action Plan, concluded that there were no technical barriers to the integration of 6,000 megawatts of wind onto the Northwest grid. The report also identified a number of steps regional utilities could take to lower costs of integration and to go beyond the 6,000 megawatts in the future. 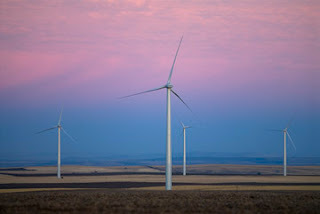 The Northwest currently has around 1,500 megawatts of wind in the ground and will likely be pushing 3,500 megawatts by the end of 2008 (see a list of existing and planned projects here). Mrs. McIntire also reminded the committee that utilities are already handling variability on their system since electricity demand is variable. Load goes up and down as people flip on and off light switches and air conditioners and as factories ramp up production lines, etc. "Utilities are very comfortable managing variability, they have done it all along, and they manage the variability of their load throughout day." Mrs. McIntire said. "They balance a number of different loads against a number of different resources," she told the committee, and the variability of wind is simply another variable on the system that utilities can and will handle. She also testified that the myth repeated by some of the bill's opponents that wind needs to be backed up by fossil resources on a one-to-one basis is just that - a myth. Utilities already deal with variability and unexpected outages with a planning reserve of resources and while some resources are needed to back up and integrate wind power, utilities by no means need to back up wind on a one-to-one basis. "This is something utilities are very comfortable with, and they don't need to back up wind one-to-one with another dispatchable resource," Mrs. McIntire testified. Finally, Mrs. McIntire reminded the committee that Oregon's electricity demand is growing and that the region will need new transmission capacity soon regardless of what type of resources meet that load, renewable or otherwise. "The region does need more transmission capacity," she said, "but that situation is not driven by wind. The region is in that situation because we have not built much transmission infrastructure in the last 10-15 years" and our region's demand is growing. "We will need to solve that problem regardless of the resources we choose," Mrs. McIntire said. "It is not something that will be driven by this bill, and it's something that we can solve." Chairman Avakian concluded the hearing by announcing that it would be the last day of public testimony on the bill, and that the committee would reconvene next Tuesday, March 27th, for a work session to hear amendments on the bill. Mr. Avakian announced that he would like to hold a committee vote at the end of that session if possible (i.e. if they can get through the amendments fast enough). If not Tuesday, then the vote will happen Thursday the 29th. Portland's Sustainable Development Office has awarded $450,000 in grants to five biofuels projects. Oregon State University, to support a project that will develop planting and fertilization methods to increase production of canola and camelina, two crops needed in the biodiesel industry. Madison Farms of Echo, to install two new 10-ton canola crushers that will increase its production of canola oil, increasing the supply available to the industry. Portland Biodiesel, to expand capacity at a biodiesel-production facility in development in North Portland. Carson Oil Co., to install a high-speed injection blending rack that will allow the company to fill tanker trucks and fuel trailers with blended biodiesel at a faster rate. SeQuential Biofuels, to support construction of a gas station in Portland that will be solely dedicated to the sale of ethanol and biodiesel blends. Energy Secretary Samuel Bodman and EPA Administrator Stephen Johnson sent a joint proposal letter to the chairman and ranking member of the House Committee on Energy and Commerce Monday proposing draft legislation requiring 35 billion gallons of alternative motor fuel—15% of projected gasoline use—by 2017. The new standard would require US ethanol and alternative fuel consumption to reach 10 billion gallons in 2010. Alternative fuel use would then slowly rise through 2014, and ramp up the following three years to reach 35 billion gallons annually in 2017. The new Alternative Fuel Standard Act, one of the initiatives highlighted by President Bush in his State of the Union address this year (earlier post), would supplant the existing Renewable Fuel Standard component of the Energy Policy Act of 2005. That goal was for 7.5 billion gallons of alternative fuel by 2012. The Alternative Fuel Standard Act also calls for a credit, banking and trading program that will encourage production of alternative fuels and reduce price volatility. The legislation, according to Bodman and Johnson, will help meet the goal of reducing gasoline consumption by 20% in 10 years. The remaining 5 percent reduction is expected to come from revisions to the Corporate Average Fuel Economy (CAFE) standards. In a reaction to the submission of the legislation, California Governor Arnold Schwarzenegger, who has ordered a Low Carbon Fuel Standard for the state of California (earlier post"), cautioned against a policy prescription that (a) specifies a technology outcome and (b) doesn’t address greenhouse gas emissions. "While I applaud President Bush’s commitment to increase the production and use of alternative fuels, effective energy policy requires a long-sighted plan that combats global warming, encourages market-based economic growth and reduces our country’s dependence on oil. By favoring one technology over another, the Alternative Fuel Standard Act allows government rather than markets and consumers to determine the alternative fuel winners and losers. And by not capping emissions, it potentially enables more global warming since some alternative fuels may produce more greenhouse gas emissions than current fuels. California has been a global leader on this issue with passage of our Global Warming Solutions Act and the establishment of the Low Carbon Fuel Standard. I encourage President Bush and Congress to pass aggressive legislation that addresses this country’s energy needs realistically and comprehensively." I tend to agree with the Governator here. We don't need any more of a focus on corn-based ethanol which does very little to achieve the dual policy goals of reduced oil dependence and reduced global warming pollution. I also agree that it makes little sense to promote an RFS with no attention paid to the well-to-wheels fossil energy input and greenhouse gas emissions intensity of the biofuels. It would make much more sense to couple a low-carbon fuels standard with policies focused on increasing vehicle fuel economy (fee-bates/gas guzzler taxes and CAFE reform) than to adopt an RFS if our goal is to reduce oil consumption, mitigate climate change, or both. For the first time, dozens of institutional investors managing $4 trillion in assets today called on US lawmakers to enact strong federal legislation to curb the pollution causing global climate change. Joined by a dozen leading US companies, the investor group outlined the business and economic rationale for climate action as they called for a national policy that reduces greenhouse gas emissions consistent with targets scientists say are needed to avoid the dangerous impacts of global warming. The group, organized by Ceres and the Investor Network on Climate Risk, issued a Climate Call to Action at a press conference today in Washington DC. The 65 signers include institutional investors and asset managers such as Merrill Lynch, and the California Public Employees Retirement System (CalPERS), as well as leading corporations such as BP America, Allianz, PG&E, DuPont, Alcoa, Sun Microsystems and National Grid. In endorsing the statement, investors and companies sent a strong message that climate policy uncertainty and the lack of federal regulations may be undermining their long-term competitiveness because it is preventing them from investing in clean energy and climate-friendly technologies and practices. Climate change presents far-reaching risks and opportunities for businesses and investors. Some companies in sectors such as electric power, oil and automotive will face high financial risks from carbon-reducing regulations if they are not prepared to act. Insurance companies and businesses with infrastructure in places vulnerable to extreme weather events also face financial exposure. On the flip side, climate change presents significant economic opportunities for businesses that invest in new technologies and products to save energy and reduce greenhouse gas emissions. Leadership by the US government to achieve sizable, sensible long-term reductions of greenhouse gas (GHG) emissions in accordance with the 60-90% reductions below 1990 levels by 2050 that scientists and climate models suggest is urgently needed to avoid worst case scenarios. Wherever possible, the national policy should include mandatory market-based solutions, such as a cap-and-trade system, that establish an economy-wide carbon price, allow for flexibility and encourage innovation. A realignment of national energy and transportation policies to stimulate research, development and deployment of new and existing clean technologies at the scale necessary to achieve GHG reduction goals. The Securities and Exchange Commission (SEC) to clarify what companies should disclose to investors on climate change in their regular financial reporting. The entire statement and more information on the climate call to action can be found here. The following is a general summary of the Oregon Renewable Energy Act, Senate Bill 838, as introduced to the Oregon Senate Environment and Natural Resources Committee on Thursday, March 15th. A more detailed Section-by-Section summary can be found in the resources section below, as can a link to the Powering Oregon's Future website which contains more information and resources on the proposed Oregon Renewable Energy Standard. The Oregon Renewable Energy Act, Senate Bill 838, establishes a Renewable Energy Standard (RES) that calls for 25% of Oregon’s electricity to come from renewable resources by 2025. The goal of this legislation is to help Oregonians transition to a safer, more reliable and affordable energy future by relying more on our own clean, domestic renewable resources. This will help decrease our reliance on imported fossil fuels. Oregon has an abundance of renewable resources that make this an achievable goal. A utility that sells more than 1% of the retail electricity in the state must meet the following goals: At least 5% of their sales must be from qualifying renewable energy sources starting in 2011; 15% by 2015; 20% by 2020 and 25% by 2025. Smaller utilities are subject to a much smaller standard. At least 5% of their sales must be from renewable sources by 2025. Eligible renewable resources include wind, biomass, hydro, geothermal, wave energy, solar power and hydrogen derived from these sources. Several types of biomass are eligible including: solid organic fuels from wood, forest or field residues, animal waste, landfill gas, and spent pulping liquor. Hydro projects are included so long as the project is not on a designated “wild and scenic” or protected river. Small hydro projects on irragtion pipelines and canals are eligible. Efficiency upgrades at dams existing before 1995 are also eligible as are some hydro projects newly-certified as “low-impact” hydropower facilities. The RES specifically states that no utility has to give up access to low-cost hydropower contracts (including power from BPA) in order to comply with the standard. It includes renewable energy projects that date back to 1995 to award early adopters. Utilities can comply with the RES by building their own project, buying electricity from someone else’s project, buying tradable renewable energy certificates (“green tags”), making an alternative compliance payment or a combination of these. Utilities are allowed to recover all of their prudent costs associated with complying. The RES supports the development of small-scale community renewable projects that are good for farmers and rural communities. A note on bill numbers: Those of you who may have been following the progress of the Oregon Renewable Energy Act may be a bit confused about the bill numbers right now. The bill was originally introduced as Senate Bill 373 and the first three committee hearings heard testimony in support of SB 373. For some unexplained reason, the bill number for the Oregon Renewable Energy Act was changed to SB 838 at the beginning of Thursday's hearing. The committee has ensured everyone that any testimony or letters submitted on SB 373 will be considered for SB 838. Just remember: SB 838 = SB 373 = the Oregon Renewable Energy Act = a 25% by 2025 Renewable Energy Standard for Oregon. Hearings have begun in the Oregon Senate Environment and Natural Resource Committee on the Oregon Renewable Energy Act. The Oregon Renewable Energy Act, Senate Bill 838, would establish a Renewable Energy Standard requiring Oregon's utilities to gradually increase the amount of renewable energy in their electricity mix until 25% of their electricity is supplied by new renewable energy sources by 2025. Over four committee sessions during the past two weeks, the Environment and Natural Resources Committe, chaired by Senator Brad Avakian (D-Portland/NE Washington County), heard nearly six hours of overwhelmingly positive testimony in support of the Oregon Renewable Energy Act. Governor Ted Kulongoski kicked off the committee hearings on March 6th, testifying in support of the Renewable Energy Standard, describing it as "the centerpiece" of the package of renewable energy legislation proposed by a Renewable Energy Working Group established by the governor in 2005. Governor Kulongoski, who has staked his personal legacy on establishing Oregon as a leader in renewable energy, described an Oregon whose economy, communities, environment and energy independence have all been bolstered by the enactment of a Renewable Energy Standard. Governor Kulongoski told the committee that the proposed Renewable Energy Standard "will help Oregon do what we know we need to do, and what scientists are telling us the whole world needs to do: shift from carbon-based sources of energy to cleaner, renewable sources of energy ... [and] help build a stronger, more sustainable economy, healthier communities and energy security for Oregon." The governor's testimony was the first of a wave of overwhelmingly positive testimony from a remarkably diverse range of constituents and organizations from all four corners of Oregon. Renewable energy advocates and environmentalists have joined with rural Oregonian farmers, ranchers, irrigators and county officials, Native American tribes, business owners, venture capitalists, faith organizations and state government officials to support the proposed Renewable Energy Standard. The state's two large investor-owned utilities, Portland General Electric and PacifiCorp, as well as the Oregon Municipal Utilities Association are all in support of SB 838 as well. Supporters argued that the Renewable Energy Standard will spur the development of the state's abundant renewable energy resources and enhance Oregon's energy independence, diversify Oregon's electricity supply and protect electricity consumers from volatile and rising fossil fuel prices, help reduce global warming pollution and increase the state's use of clean energy, drive economic development, particularly in rural Oregon, and help make Oregon a center for the growing clean energy economy. John Lamoreau, former County Commissioner from Union County in the northeastern corner of the state and self-described "not liberal," was one of several who drove more than 100 miles from Eastern Oregon counties to testify in support of the bill. Mr. Lamoreau testified early during the first hearing arguing that it only makes sense to develop Oregon's abundant homegrown renewable energy resources. "When I go to a sea food restaurant in Portland, I don't want to eat Salmon imported from Chile," Mr. Lamoreau said. "When I build my home in La Grande, I don't want to use timber imported from Canada. And when I buy my electricity, I don't want it to come from coal in Wyoming or natural gas from overseas when the wind blows freely and abundantly across Union County." The potential for renewable energy to bridge the urban/rural, east/west divide that is so often prevalent in Oregon was a reoccurring theme in supporters' testimony. The broad range of support for the bill from urban, farm, forest and coastal communities alike is testament to the potential the bill has to bridge and potential help heal these divides. "Let's look back a little in Oregon's history. There was a time when the primary reason for the existence of Oregon's cities was to do the shipping, the financing, the trading, and the manufacturing for Oregon's natural resource economy. A majority of Oregonians living in cities had ... a stake in rural Oregon. [W]e have, with this bill, the opportunity to restore some of the economic ties that once bound the state, and with them the cultural, social, and political ties that follow. Nothing could be more critical to meeting squarely the extraordinary challenges that face our increasingly complex and vast society - challenges that include not only global warming but making sure people are healthy, food reaches our tables, and new technologies are used appropriately and ethically." With such a broad list of supporters, you might be asking "whose opposed to this bill?" The answer is that two main groups remain in opposition to the Oregon Renewable Energy Act: the state's Public Utility Districts and rural electric cooperatives as well as some of the state's large industrial energy consumers. The Committee heard the first opposition testimony this Thursday, March 15th, when representatives of the Oregon Public Utilities Association, Oregon Rural Electric Cooperatives Association, Association of Oregon Industries and Industrial Customers of Northwest Utilities all testified against SB 838. The PUDs and coops argue that the bill will take local control away from the elected governing bodies of the PUDs and Coops. The PUD and coop associations argue that their member utilities already purchase the bulk of their electricity from clean, renewable sources, referring to purchases of hydropower from the Bonneville Power Administration. They also expressed concern about the effect of mandates on some of Oregon's very small rural PUDs and coops. The two organizations representing Oregon's large industrial energy consumers, AOI and ICNU, both argued that the bill will raise rates, putting Oregon businesses at a competitive disadvantage and wrecking Oregon's economy. The concerns of both of the rural PUDs and coops and the industrial customers were heard throughout the Renewable Energy Working Group stakeholder process that drafted the Oregon Renewable Energy Act and supporters of the act argue that they have been addressed by various components of the bill. The bill exempts small utilities that make up less than 1% of Oregon's load from the main renewable energy standard. These small utilities are held to a much less stringent standard requiring just 5% of the utilities electricity mix to come from new renewable energy sources by 2025. The bill also lets consumer-owned utilities (COUs) - PUDs, rural coops and municipal electric utilities - police their own compliance, respecting the tradition of local control for Oregon's COUs (the Public Utility Commission only has oversight over the state's investor-owned utilities and electric service suppliers). Additionally, the bill includes provisions that specify that a utility will not be required to give up access to any low-cost hydropower from BPA or from any other non-fossil resources if complying with the standard would require them to procure new resources in excess of their load growth, addressing the concerns of slow-growing utilities. The bill also includes a cost cap provision designed to address concerns about potentially increased costs. Supporters of the bill, including the Oregon Business Association and ratepayer advocates, the Citizens Utility Board of Oregon, argue that any cost increases will be minor and likely only in the short term, as increased use of renewable energy sources providing stable, predictable rates will eventually save money in the long run and protect consumers from the rising costs of fossil fuel resources and the costs of future carbon regulations. However, should the cost of complying with the bill prove higher than expected, a cost cap provision will exempt utilities from compliance in any given year if the cost of compliance would increase customers' rates by more than 4%. (For utility policy wonks out there, the cost cap is tied to the utility's annual retail revenue requirement as a proxy for rates, exempting utilities from compliance if the cost of compliance exceeds 4% of the utility's revenue requirement). The few opponents of the bill seemed to recognize that they face overwhelming support for the Renewable Energy Standard. The representative of the PUDs association started his testimony by saying he felt "like a wind turbine standing in the face of gale force winds." Despite allowing each hearing to go for a full two hours and offering three full hearings (the March 8th hearing was more-or-less canceled due to a political meltdown over an unrelated issue, the Corporate Kicker and Rainy Day Fund, for those following Oregon politics), the sheer number of people interested in testifying before the committee meant that Thursday's hearing closed with people still waiting to testify. The committee will hear testimony from a few more people on Tuesday, March 19th, including a representative of the Oregon Municipal Electric Utilities Association, who is expected to offer the organizations support for the bill. The committee will then move on to a working session where amendments may be offered by committee members. The committee will likely vote to pass the bill out of committee at the end of the working session. I predict a 4-1 vote with Senator Jason Atkinson (R-Medford) joining the committees three Democrats in support of the bill. Senator Roger Beyer (R-Molalla) has seemed disinclined to support the bill and will likely be the lone 'no' vote on the committee. Democrats hold a majority on the five person committee and can pass the bill along party lines, although Chairman Avakian is hoping to send the bill to the Senate floor with bipartisan support. A Senate floor vote will likely follow soon after the bill is passed from committee although the timing of that vote is a bit of a moving target.